It is available for 27000 Euro. Check the technical data of the unit, picked out from the catalog of MERCEDES-BENZ Actros 3244 hook lift truck. The details on engine output, gearbox and emission class are as follows: Euro 5, diesel, 441 hp, retarder/intarder. 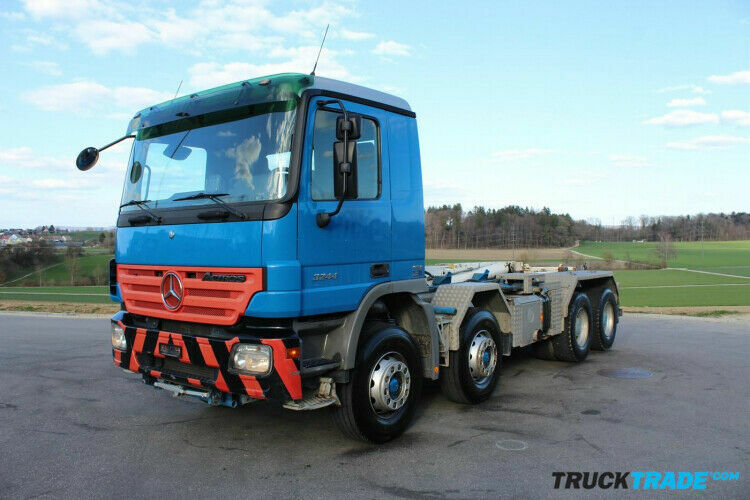 The details on axles, suspension and euro norm include: 8x4. The mileage is 397311 km. The unit’s location is in Switzerland.